THE ARTHUR TROUT BAND was the band I played in from 1975 until 1980. 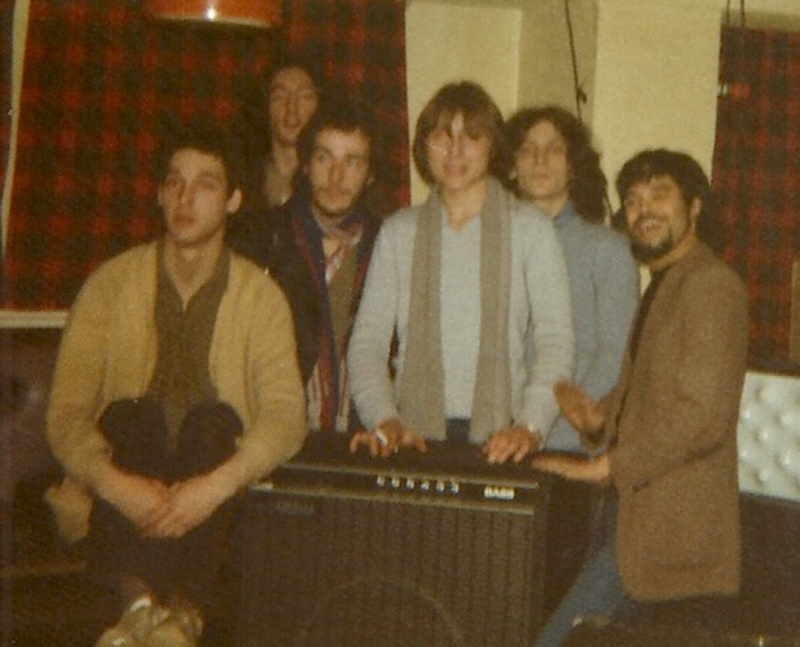 I was the guitarist in the band, Tim Brittain drums, Niel Fairweather on Bass, Jagend Gomatham on pecussion, Jim Prime (now with Deacon Blue) on keyboards and David Roy on Rhythm guitar, Tenor and soprano Saxophones and flute. David was John Martyn’s cousin which is how I came to know John in the first place. We played at Stonehenge and Bristol Ashton Court festivals in 1980 and then I joined John Martyn as his bass player for the 1980 Autumn tour of “Grace and Danger” bringing the ATB era to a close until we reformed (minus Jim) to play at my 50th Birthday party in Glasgow in 2010. I hope to master some of the surviving ATB cassettes from the 70’s and add them to the site in the near future.